Day 2 was going to start quite early. My greedy backpack was ready with his greedy list to be unchecked. 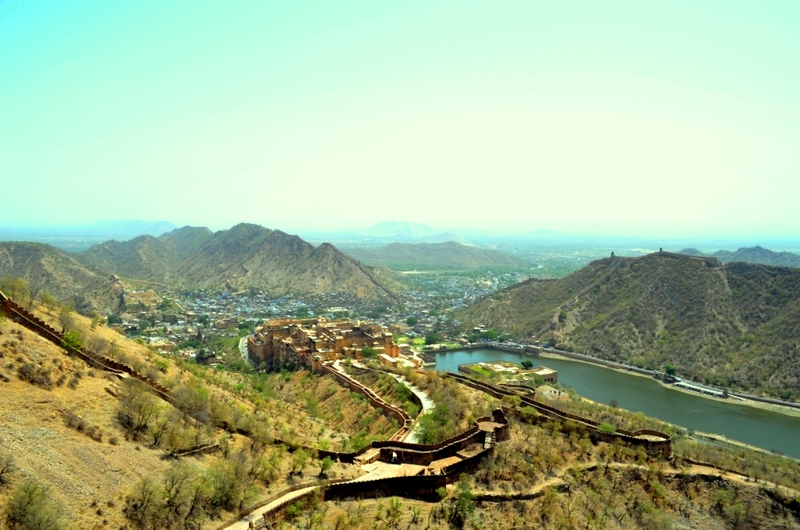 Topping the list was Jaigarh fort , built on “Hill of Eagles” in Aravali range of Jaipur built to guard the Amber fort to which it looks from the top by that time ruler Jai singh II on whose name was named as Jaigarh fort. This is the first time when i am hearing that ” A fort guarding a fort ” something which is very unusual. Never heard of this thing and cant even imagine what the rulers were thinking that time to guard a fort build one more fort. fort was some 30min away from my hotel The Theme. Weather was awesome, little bit of drizzle in the night had made the morning very misty but it was soothing and a great day to drive in Rajasthan. First time i was seeing this that car was allowed inside the Fort area. We passed right to top of the fort with my Car only. Once this place was more lively , now it has lost its charm. But still if i compare it with the fort of Gwalior which i visited recently i would say it is much better maintained. 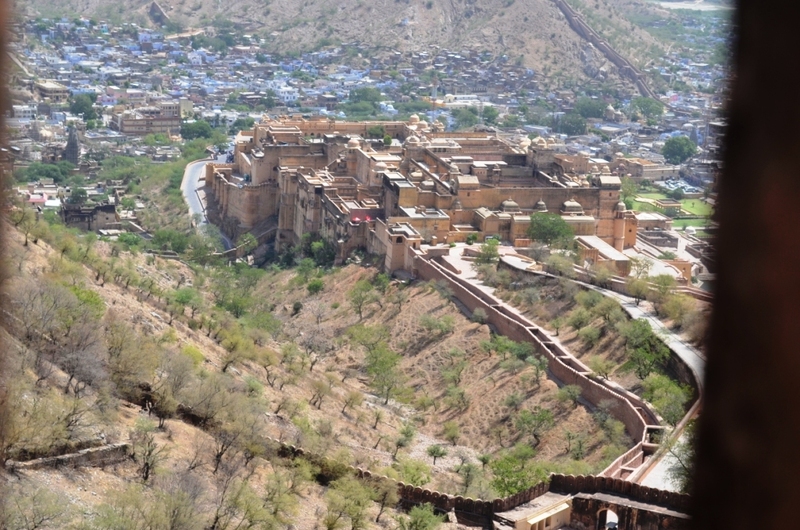 This fort is still maintained by the Royal Family of Rajasthan and the money collected from the tickets is spent on the fort only. 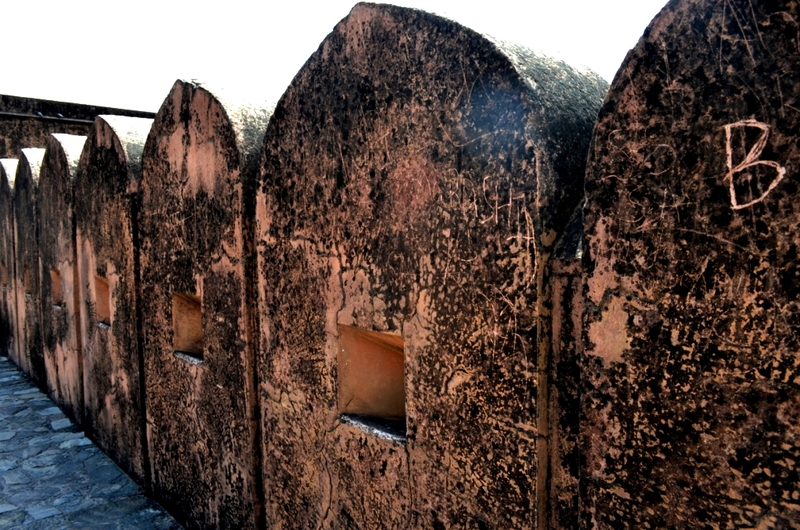 one would find these type of squared holes in the walls of any fort one visit. These were used by the soldiers to guard they used to keep there guns inside them to aim the enemy. Same was here but here these holes were guarding a fort from the enemies. 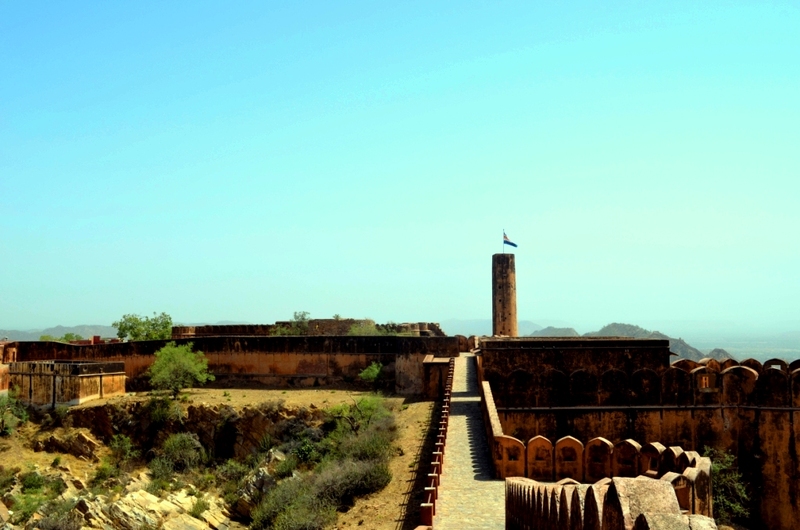 Jaigarh Fort walls are built with such angle that from every window one gets the view of Amber Fort , and if that would not be then it would not solve the whole purpose to build this extra fort. Top view of Amber fort..
As i was not getting the perfect view of Amber fort top view i tried to click by climbing over the wall to have this magnificient view of the Amber fort. Right in front of the fort Maota lake was made which was used as water reservoir that time and now a days it is used as water reservoir for Elephants which are used by tourists to ride to Amber fort.